Large arrangement includes 31 stems. Approximately 36"H x 30"W.
Deluxe arrangement includes 43 stems. 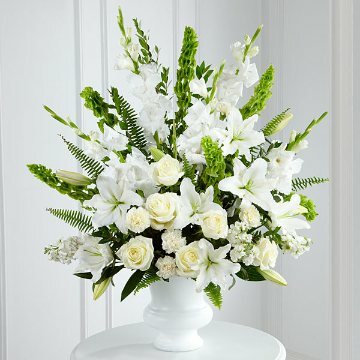 Approximately 40"H x 32"W.
Premium arrangement includes 55 stems. Approximately 45"H x 36"W.